Actually we just call them pigs down under, they can be in massive numbers in some area but have never been any sign of them at the farm until about 6 weeks ago. Managed to nail one while out fox whistling (preditor calling) and got another a few nights later. From the trail cam pics I had 6 that were coming in so 4 left to get but they are proving a bit elusive. Doesn't help that I am only getting to the farm a couple of days a week. We had hogs on my neighbors property in 2005. 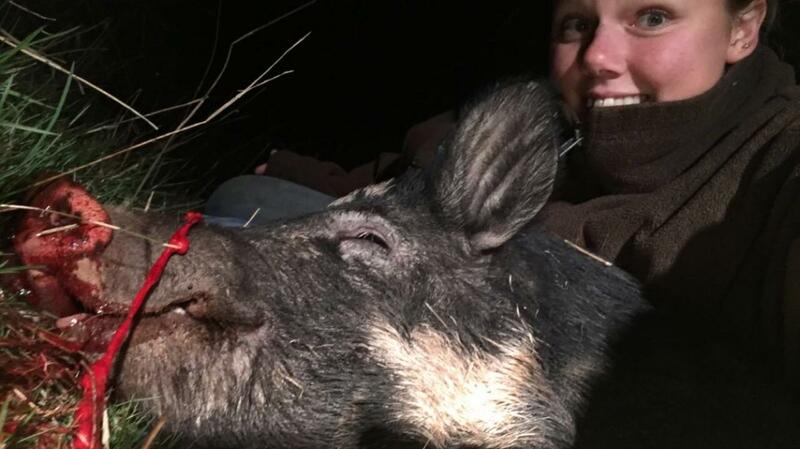 He killed one that year and we have never seen a feral hog since. I have a free range pot belly sow and I have been expecting a boar to come in and get her pregnant but it has not happened. That's a good size for butchering. Much larger than that, the hunters in these part leave the carcass for coyotes. Mainly, they're hunted here to stop them from tearing up fields and pastures. What rifle and round did you use? Was carrying my 240wby when I bumped into both of them. I have been carrying my marlin 45/70 loaded with some of my cast 370gr HP when I have been deliberately looking for them but you know how it is. I imagine your 220 swift would work fine as well. But at close range it's hard to beat the knockdown of a .45-70. Looks in good nick too, there are pigs around here in areas which haven't had pigs before. My young blokes go out dogging for them all the time. I'm not really into Dogging but have shot hundreds of them usually with my 25/06. I've always wanted a 45/70 and like the look of the 450 Bushmaster too. I LOVE my .25-06s... tack drivers, all of them. 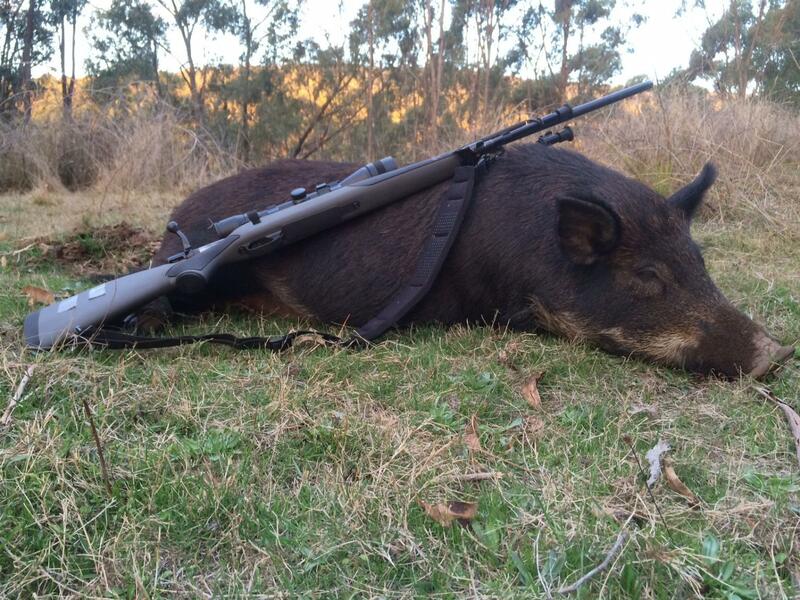 Im fond of the 25/06 as well, shot quite a few pigs with one over the years. It was the 25/06 performance with 100gr bullets that convinced me to go with a 240. 240wby runs the same velocities with 100grs but offers the advantage of lighter bullets than the 25cals at the lower end. My current varmint/preditor load is 55gr at over 4100fps, 100gr loads shoot close enough to point of aim when sighted in with the 55gr load to be usable to around 200y without any adjustment or holdover. wow, 4100fps now that's cracking!!!! they would explode on contact devasting. Yeah you could say the results on foxes and crows is emphatic, shoots like a lazer. Sighted 1.25" high at 100y its about 1.5" at 175y spot on at 260y, 1.5" low at 300y and still only 4.5" low at 350y. No doubt it would do the job on medium sized pigs with the 55gr load through the ribs but I have been slipping in a 100gr load just to be sure when I bump into them.